New Year’s Eve is often a time to seriously party. If you’re like many, there’s a decent chance you’re greeting the new year with one or two (or six) cocktails. Unfortunately, drinking too much can bring some rather unpleasant results. Alcohol can get pretty unfriendly 12 hours after the fact. So, if New Year’s Day turns into National Hangover Day, read on for some tips and tricks to feel better. After all, tomorrow’s a work day. Milton Crawford created a fun book that details ways to understand your hangover, and suggests remedies to get you feeling more like yourself. Kinglsey Amis, a self-professed alcoholic, published "On Drink." In the book, Amis discusses a variety of self-researched cures for hangovers. Bernardino Branca invented an 80-proof concoction, called Fernet, designed to treat a variety of ailments, such as cholera and hangovers. Did he say 80-proof? Prepare by stocking up on essentials that will help you feel a little more like your true self after a night of partying. 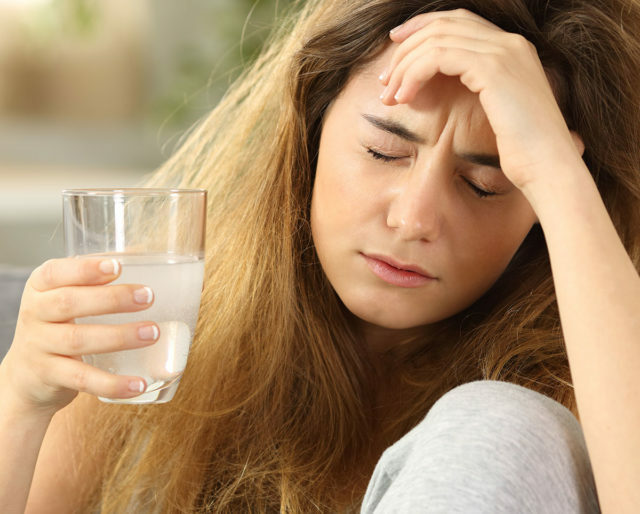 Ibuprofen, sports drinks, greasy potato chips, antacids — whatever your preferred hangover remedies are, make sure that you have them on hand. If you're feeling really ambitious, why not throw a party? After all, the cure to your hangover may just be a really awesome Bloody Mary. This wasn't invented for hangover relief, of course, but it just might help. The drink, marketed for use by children, can replace nutrients and electrolytes your body might need to feel better. Why are you hitting me with that? If you wake up with a hangover in Russia, there's a chance someone might suggest spending some time sitting in a sauna and then having a person pummel you with birch branches. In Ancient Rome, a fairly common hangover cure was to eat a fried canary. In the Wild West, to combat hangovers, cowboys would add rabbit poop to their tea. In Mongolia, some people choose to treat hangovers with a drink commonly referred to as a Mongolian Mary; this drink comes complete with a pickled sheep eye garnish. Let's face it, trying to go about your daily life with a nasty hangover can be downright miserable. National Hangover Day is a perfect excuse to simply down some greasy food and nurse that pounding headache. If you wake up with a hangover on January 1, you're going to be in good company. National Hangover Day reminds us that we're not the only ones who may have made some poor choices the night before. There are plenty of other people riding the "struggle bus" right along with us. A hangover doesn't just come out of nowhere. If you're suffering from a hangover, there's a pretty good chance that you had your fair share of fun the night before. So, while dealing with a hangover may seem like a curse, it's also a little reminder that you're an awesome party animal.